A Virtual Private Server (VPS) is an isolated virtual machine on a physical server. It is sold as a service by an Internet hosting provider. There can be dozens of VPSes created on a single physical server, depending on the specifications of the physical server. A VPS has its own IP address and runs its own operating system (OS), and customers usually have superuser-level access (root access), to that virtual machine, so they can install any software that runs on that OS. VPS web hosting is a way to build a website on a server that offers more power, security and stability. Falling in between the more traditional shared hosting and the very expensive dedicated servers of huge organizations, virtual private servers (VPS) offer the best of both worlds. VPS hosting is mostly used by small and medium businesses that are planning for high-volume web traffic, a lot of growth or data-heavy websites. Because a VPS ensures faster load times and nearly 100-percent website uptime, this type of hosting is used by companies in highly competitive markets. VPS hosting is also great for young companies because the service gives the benefits of a dedicated server without the price tag. It also allows lots of opportunities to customize the services offered so a company isn’t paying for lots of features that aren’t actually necessary. 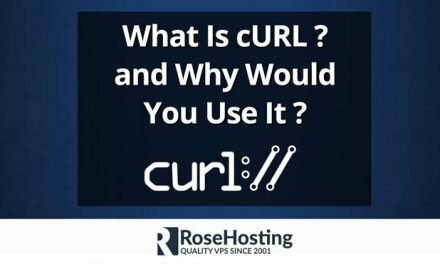 VPS hosting isn’t the right answer for everyone. For minimal static websites that are mostly text, slow loading speeds won’t have a huge effect on their load time. However, for those in competitive markets that understand a slow load time means lost customers, VPS hosting is a great low-cost solution. VPS hosts usually offer more dedicated management of their servers as well. For companies offering eCommerce, CRM, ERP, CMS, there can be peace of mind knowing that the servers are taken care of so they can focus on selling their products. 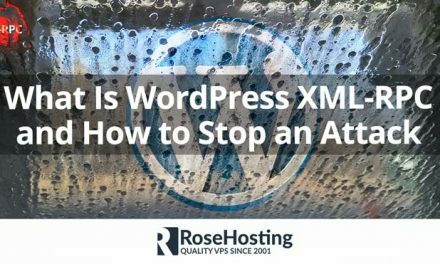 This is especially true for fully-managed vps hosting, where most, if not all server admin work is done by the hosting provider, either for free or for an additional cost. 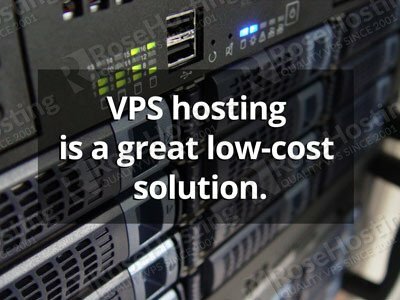 Although VPS hosting is a fraction of the price of dedicated web hosting, it can be slightly more expensive than a shared hosting service. 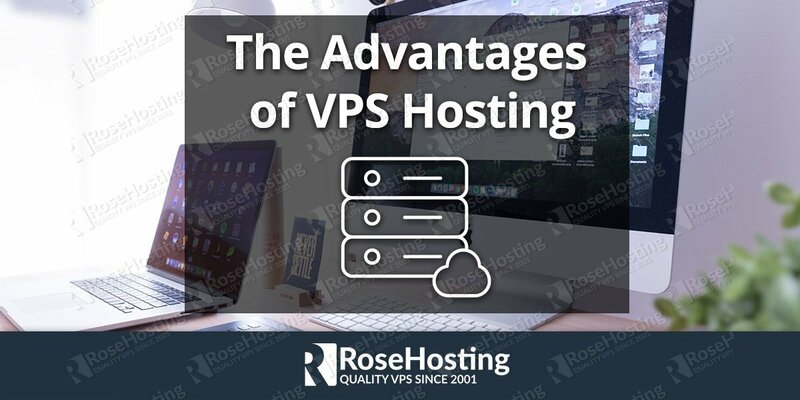 The services offered usually make it more than worth the added cost, but it’s worth taking the time to ensure that the VPS offers certain features that will make the most of the money spent. A good VPS host should offer a minimum of 100GB of storage, 4GB of RAM and more than enough monthly data transfers. 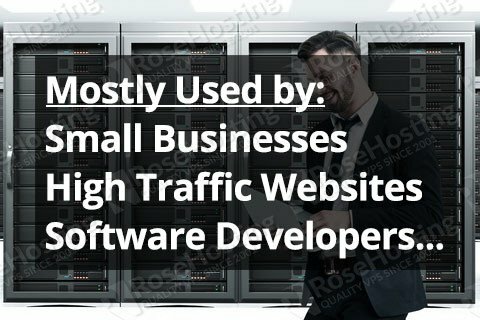 For those planning a lot of growth with their website, choosing a VPS that can scale with the company saves time in the future. That means selecting an option with as many high limit resources as possible, is better. Services that charge for additional email accounts can get expensive quickly as employees are added. For companies offering eCommerce, a secure sockets layer (SSL) certificate is a necessary option. This encrypts the payment information of the customers as the data passes between different sites to avoid compromising the financial info. Some VPS hosts will offer a free SSL certificate while others can charge up to $100 dollars or more. 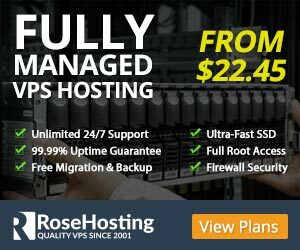 As the benefits of VPS hosting become more readily known and available, VPS hosting has a lot of potential for the future. Because costs can be nearly comparable with shared hosting and most websites that use a dedicated server don’t actually need all the space offered, VPS hosting will grow in popularity as a great solution for small to medium-sized businesses. Thank for sharing about VPS hosting.I am using VPS hosting for my site its is more reliable and cheap hosting compare to other hosting.